BRYAN EATON/Staff photo. 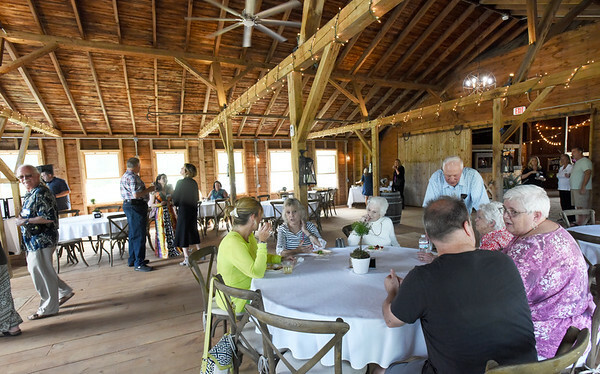 The Barn in Bradstreet Farm in Rowley, a farm-to-table, and wedding and event venue, opened to guests last week with a ribbon-cutting to officially celebrate the opening. The venue secured its permits from the town in March and now the fully restored 18th century barn, on seven acres, with various amenties is open for business.